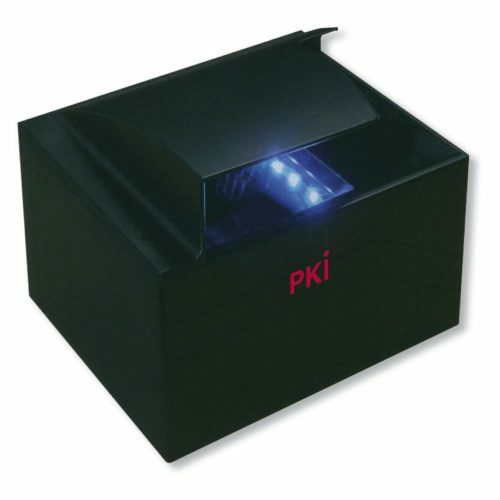 The PKI 9405, a ver y compact document reader with h igh – end OCR technology is a n indispensable equipment for reading passports, visas and other travel documents. This unit is especially designe d to all ow hands – free operation. Regardless of the chip position all electronic data can be read in a one-step process. The software package can be integrated easily into complete solutions. Customized models are available, designed according to our customer’s specific needs.